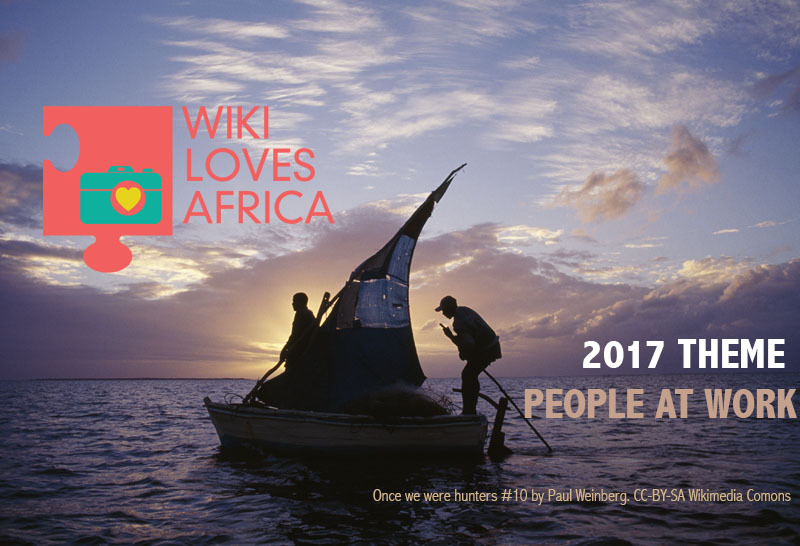 Wiki Loves Africa, Africa’s most popular photographic competition, is back for the fourth year under the theme People at Work. The People at Work theme encourages photographers (hobbyists and professionals) across Africa and beyond to document the full gamut of occupations that take place across the African continent … the usual and unusual, the banal and the extraordinary, the formal and the informal, contemporary or ancient, business-oriented or creative. The Wiki Loves Africa competition encourages people to add pictures of Africa to the Wikimedia Commons collection. By adding them to Wikimedia Commons, this means that images of Africa and it’s people can be found by all people around the world (especially those on the continent) and ensures that Africa’s stories are told. How do you enter Wiki Loves Africa? Take a great picture or make a recording of people at work anywhere in Africa. You need to register or create an account with Wikimedia Commons – this is essential for entering the competition, and no entries can be accepted without this step. Upload your images and provide a caption for each one in the description section. Sit back, smile and wait to hear if you have won a great prize. Or take some more photos to increase your chances! Thirteen countries are hosting specific events around the competition, but this does not mean that you cannot take enter wherever you are. If you want to be at an event, please feel free to contact the organisers in the countries listed below – and if you want to organise your own event in your own country … be bold and do it! The hosts of these interventions range from established communities in Algeria, Cameroon, Côte d’Ivoire, Egypt, Ghana, Nigeria, and Tunisia to fledgling volunteer groups and single enthusiasts in Ethiopia, Malawi, Mali, Uganda, Tanzania, and Zimbabwe. Read more on the Wiki Loves Africa : What’s happening in my country page. Wiki Loves Africa is an initiative operated by Wiki In Africa, and supported by ynternet.org, to encourage participation in the WikiAfrica movement. The project is funded by the Wikimedia Foundation and receives communications support from UNESCO’s Unite4Heritage project.